Have you been longing for that dream holiday; the latest smartphone or planning to renovate your house, but it has not materialised because you have not saved up enough? 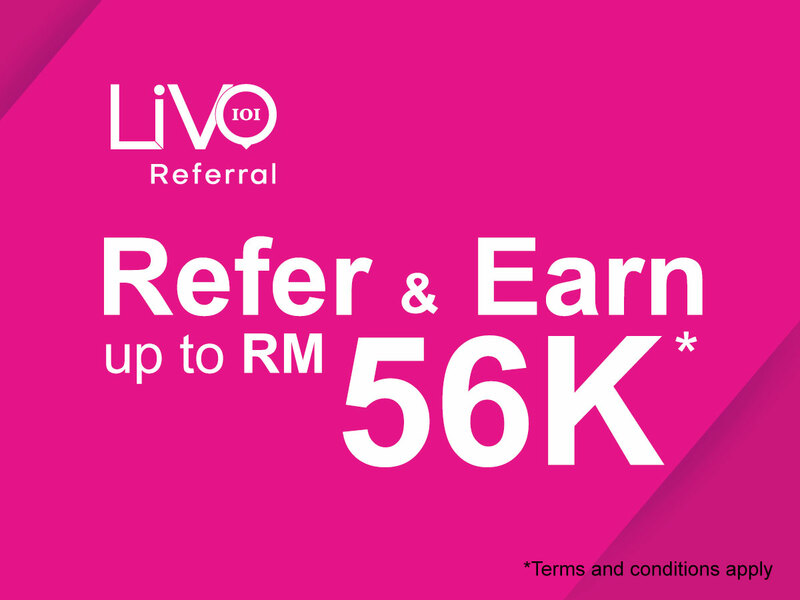 Now, this is an opportunity to earn some extra income from the IOI LiVO Referral Programme, by IOI Properties Group. “Since the launch of the IOI LiVO Customer Loyalty app, we have seen a huge increase in engagement with our loyal customers. They have been actively sharing and promoting their positive experiences with family and friends. In response to this and in light of the current economic environment, we have taken the initiative to reward our loyal customers with the IOI LiVO Referral Programme. This enables them to earn a significant side income. At the same time, it will allow us to expand our sales network.” This is according to Mr. Jason Tie, Chief Sales and Marketing Officer of IOI Properties. To make things more interesting, the programme is open to everyone besides IOI LiVO members. To take part in the programme, you just need to register online as a referrer. Once this is done, you can start to refer purchasers and leave the rest to the IOI Properties’ sales staff. It cannot get easier than this. Anyone can be a potential customer – family members, friends, even colleagues. You can either accompany them to the respective IOI Galleria located in various IOI Properties townships or they can go on their own. If it is the latter, then all they need to do is to quote the referrer’s name and mobile number to the sales consultant as a verification procedure. After that, there is absolutely nothing else that you will need to do as the sales consultant will take it from there by explaining everything about the property of choice. This will include arranging for site visits and attending to the conclusion of the sale subsequently. The potential reward can be quite substantial, up to RM56,000! There is no limit to the number of people you can refer. The more you refer, the more you gain! So, this will be the perfect time to scan through the address book and look for people that you know who may be in the market for buying a new property. If you’re excited about earning extra money, register yourself immediately and start introducing your relatives, friends and colleagues to us! The IOI LiVO Referral Programme will only be running until 31 December, 2018.